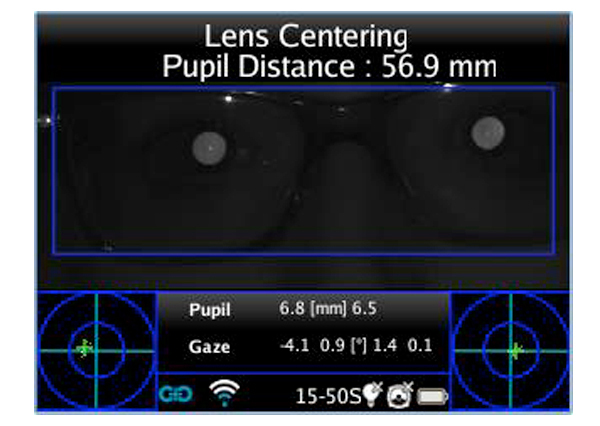 The Lens Centering on Frame Application (LC-App) allows to accurately center spectacle lenses with reference to the actual visual axis of the eye (cornel reflex) for better vision comfort. 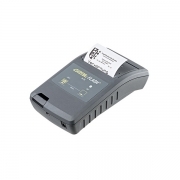 This system allows to position and tilt the ases in order to do the measuring. 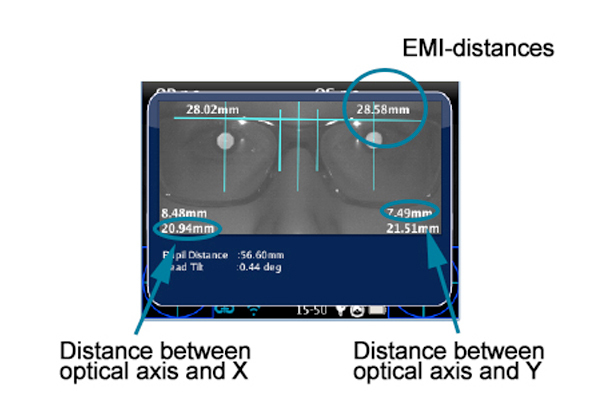 ▪ Emi-distance: the distance between each optical axis and the central vertical reference. ▪ The distance between the optical axis and the horizontal reference (y). ▪ The distance between the optical axis and the corresponding side of the bridge (x). 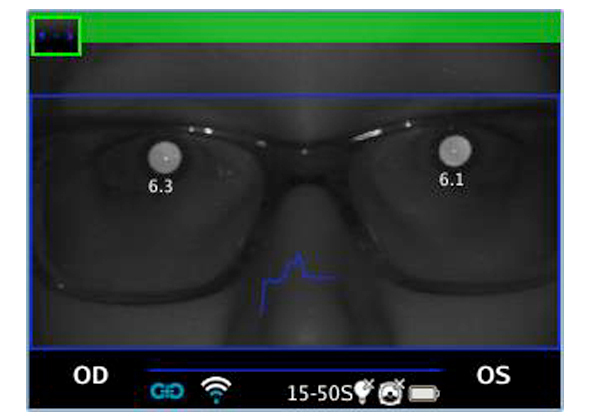 When the App is activated, the operator have to make the measurement as in 2WIN standard way following the “green” condition. After the measurement is done, the main PD information is displayed at the top of the application’s main display. 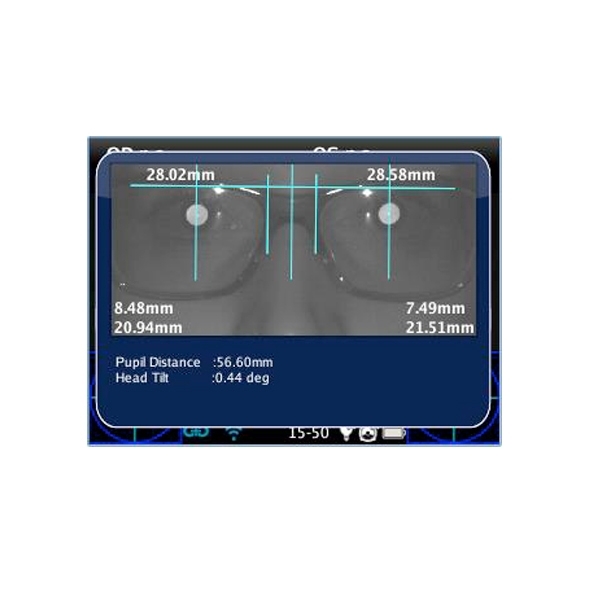 The main screen of the Application shows the measure image and it positions the measure axes in a default place, that is: the horizontal axis aligned between the two pupils keeping their base tilt, whereas the two studs are positioned equidistant from the center. Lens Centering system allows to position and tilt the axes in order to do the measuring. 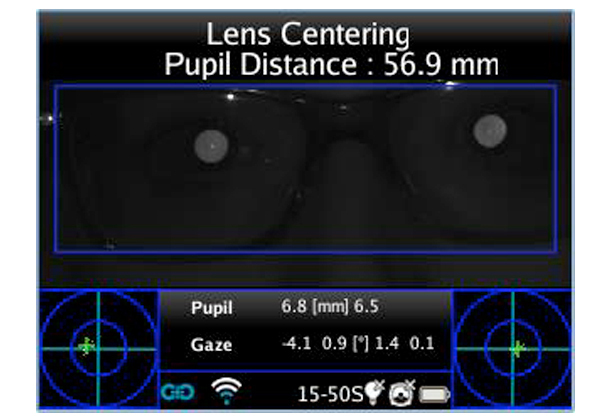 If the Pupil Distance is not valid, the LC APP shows a warning message because has no referring for high precision measure. 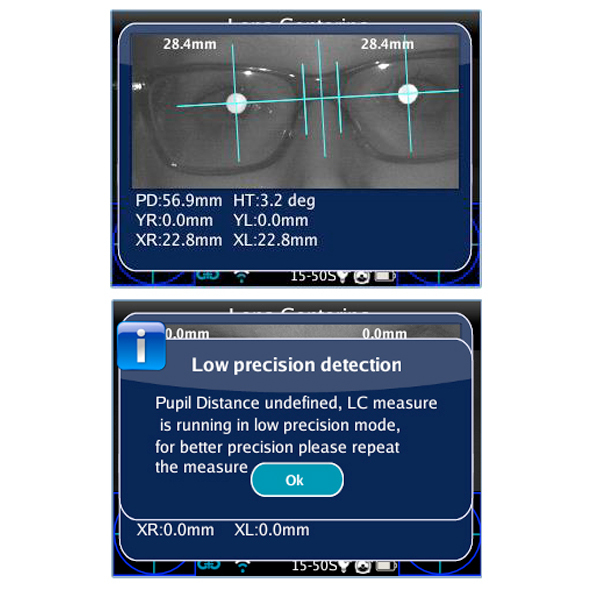 Using the LC-App in browsing mode, will result low precision measure. After locating the axes you can save their position (for a future review) by holding the Printing button after exiting from the LC-App. In this way it will create a report and the values will be saved on the measuring and next time you will find them in the same position as you set before. 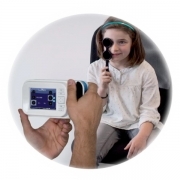 ▪ EMI: The distance between the pupil and the central vertical axis. 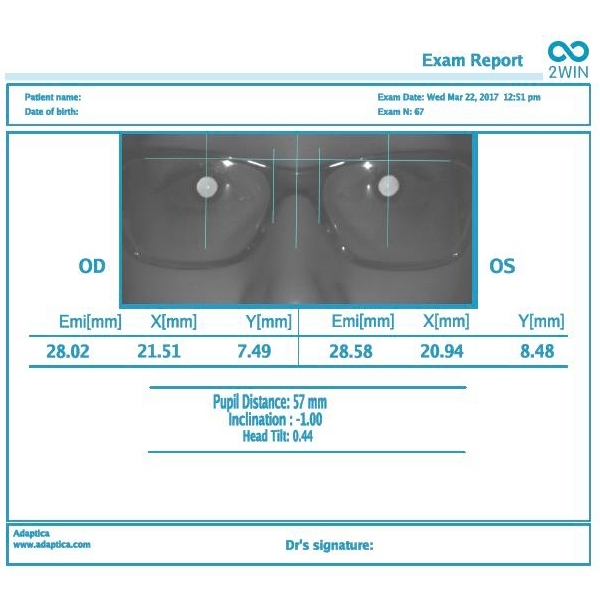 ▪ X: The distance between the optic axis center and the external vertical axis of the stud. ▪ Y: The distance between the optic axis center and the horizontal axis. 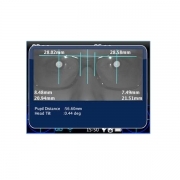 ▪ Pupil distance: The distance between the pupil optic axes. ▪ Inclination: The additional inclination added to the head tilt by the operator. ▪ Head Tilt: The optic axis tilt respect to the horizontal axis.